Primroses and Petticoats : Merry Christmas! HAPPY NEW YEAR. Look forward to seeing what you all got up to I've Christmas in the new year. 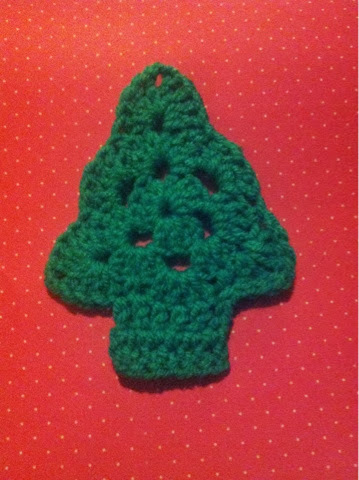 But for now I'll love you and leave you with my crochet Christmas tree Joy very kindly shared the pattern from the royal sisters blog. Lots of fun to make. Such a cute little tree! I have really enjoyed reading your blog this year and thank you so much for the lovely comments you leave over at mine. Wishing you and your family a wonderful Christmas and a very happy new year. Wishing you and yours a magical Christmas time...Merry Merry Christmas! I like your crochet Christmas tree! Hope you had a lovely Christmas.